This is my favorite fun new product. 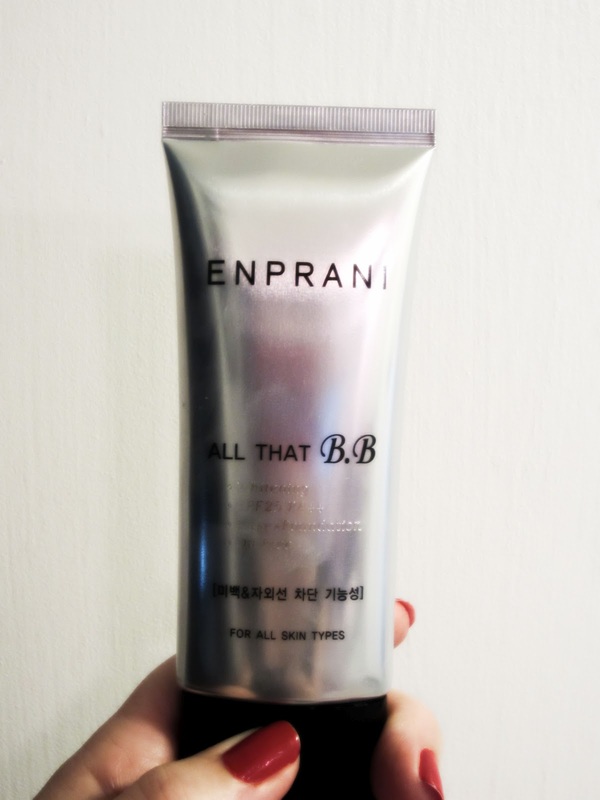 Depending on who you ask, “BB” stand for “beauty balm” or “blemish balm.” According to squidoo.com in the article “What is BB Cream and why are Asian women so crazy about it?” BB Cream is an all-in-one, on-the-go wonder makeup, which works as a tinted moisturizer, but is so much more. It’s anti-aging, anti-acne, foundation, concealer, sun-protector, resulting in the “no makeup look.” One of the cool things about BB Cream is that it oxidizes on your skin. Meaning, the color actually adjusts to your skin tone after being subjected to the atmosphere (or something like that. I’m a writer, not a bloody scientist!). True, there are many different base tones to chose from, and make sure you sample a lot of these first. Particularly if you’ve got uber-fair skin like me. Remember, this wonder-stuff originated in Asia. Those gals have very different colored skin than me. It goes on super smooth and blends almost instantly. For someone who hasn’t worn traditional foundation since the early nineties, I hate the feeling of “stuff” on my face. But, as a girl, I do love playing with makeup. The BB Creams I’ve tried go on thick but then fade to suspiciously light. Within an hour after application, it feels like I have nothing on, although the coverage looks even and perfect. How the devil does that work? I’m not about to do any kind of demonstration. Heavens! There are a ton of youtube and bloggy tutorials out there. This is my favorite. Watch it and pretend I look like THIS chick. Now, go forth. Paint your faces. Have fun! I loooooooooove my BB cream! It make me more beautiful. I haven't tried all my new products yet, I'm still getting used to the foundation. I think it had actually improved my skin. love, love, love. I love mine too! Which one did you get? Remind me. I haven't tried any of the other fun things our lady gave me, either. Why didn't we try those when we were together? Good thing she numbers the packs for us. I want it to make me more beautiful too!! How intriguing. I'd swap skin with her any day, hyper-pigmentation and all. Isn't she so pretty, poor thing? I love her pretty blog. What fun. I love looking at makeup, and occasionally trying things. Now I have to check out BB cream, though I'm disappointed to know you liked the Dior so much. That's even out of my generous (when the situation calls for it) price league! And as for Jen and her blog, I've watched her video about how to use my Urban Decay Naked palette (I'm still clueless abt eye shadow), so I'm excited to check out her blog!